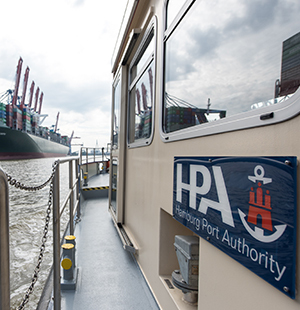 An eventful year is now behind us – one in which HPA was able to once again serve as an engine to Hamburg’s economy and make a positive difference. The year 2019 began with a bang. The successful start of the fairway adjustment, with its different sub-projects, is just one example of our success. And we have many more exciting things planned for the future. 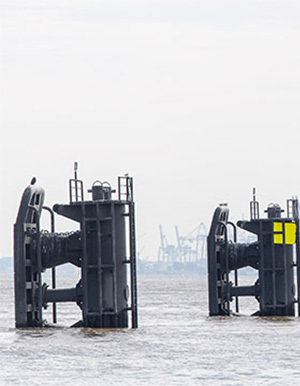 For instance, in 2019, following the grand opening of the newly renovated east tunnel of the Elbtunnel, work will commence on the west tunnel, or nine first-time calls alone in the Port of Hamburg. underscoring the increasing importance of cruises. Of course, we are ambitiously pushing forward with our projects this year too. 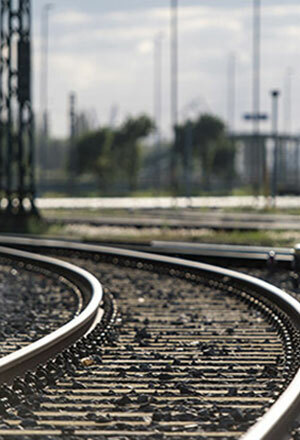 Discover in this newsletter why our port railway is tallying up record-breaking numbers and how we are equipping the port for the future through various measures. Or take a look back and learn more about the port’s history in an impressive exhibition. By the way, we will soon be welcoming someone who will be a guest more often to Hamburg in future: on 12 April, the Hapag-Lloyd cruise ship Hanseatic nature will be celebrating its grand naming ceremony! I wish you a pleasurable read of our latest HPA newsletter and am signing off for a while for now. In 2019, too, we will showing on SmartPort TV everything which will be driving HPA in the coming months. CEO Jens Meier talks about the most significant plans and goals in detail in an interview: from the fairway adjustment to important infrastructure projects for road and rail transport to pioneering measures in the area of increased energy, environmental protection and digitisation. Ever since the incident with the container ship MSC Zoe in the North Sea, safety on the high seas is once again a hot topic. 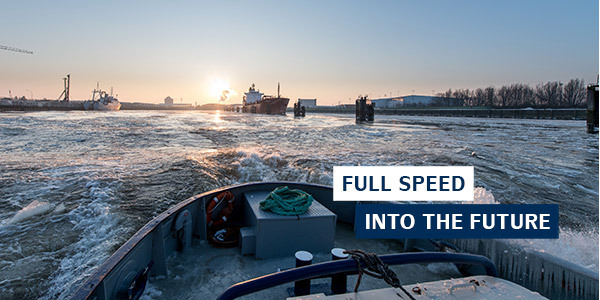 In an interview with Jörg Pollmann, Port Captain of 25 years and chief nautical authority for the Port of Hamburg, he explains how all the big ships safely navigate the Elbe River and which tasks are at the tip of his bow every day. 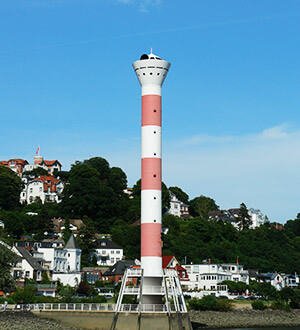 In Blankenese, HPA will soon be erecting two new lighthouses along the Elbe – and one of them will even be one of the highest in Germany. Discover in our fascinating article what this has to do with the fairway adjustment. The big ship waiting area at Finkenwerder was erected at the turn of the century and originally served as a waiting and emergency berthing place for small bulk carriers. However, because more and more container ships with a length of over 360 metres have been calling at port in the past few years, the strain for mooring and berthing dolphins has fundamentally changed. For the necessary expansion, HPA is currently going through a tendering process. The construction measures should be completed by autumn 2019. The handling figures of the port railway are growing. With 34.8 million tonnes of goods transported, the port railway was able to significantly increase its loading volume in the first three quarters of 2018. Container transport via rail has even grown since the beginning of the previous year by 4.3%. According to Jens Meier, CEO of HPA, these impressive numbers are especially due to the continually increasing efficiency of the port railway. 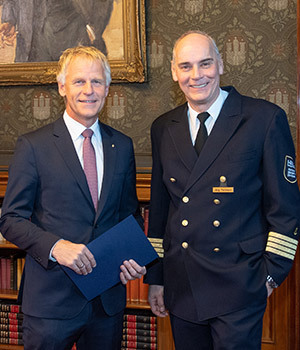 Thanks to the port railway’s success, “an important contribution is being made to further relieving burden on the environment and Hamburg’s streets,” emphasises Jens Meier. 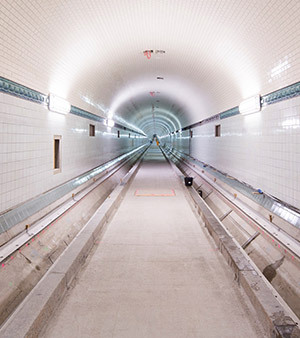 An important transport connection, historical landmark and tourist attraction is the St. Pauli Elbtunnel, which is an integral part of Hamburg’s skyline. But how did this masterpiece of engineering come to be? Together with historian Daniel Frahm, HPA has compiled an exhibition which answers these exciting questions. Read more about it! This exhibition, showing in Hamburg’s Town Hall, gives exciting details on Hamburg’s most popular landmark, which is now gleaming in new splendour. Opening hours: Monday to Friday from 7 a.m. to 7 p.m., Saturday from 10 a.m. to 5 p.m., Sunday from 10 a.m. to 4 p.m. Admission is free of charge. For many years, dock work was considered a man’s world, but women are playing an ever increasingly important role in the port. On a very special harbour tour, you can discover fascinating insights into their work. The tour starts at Anleger Vorsetzen.